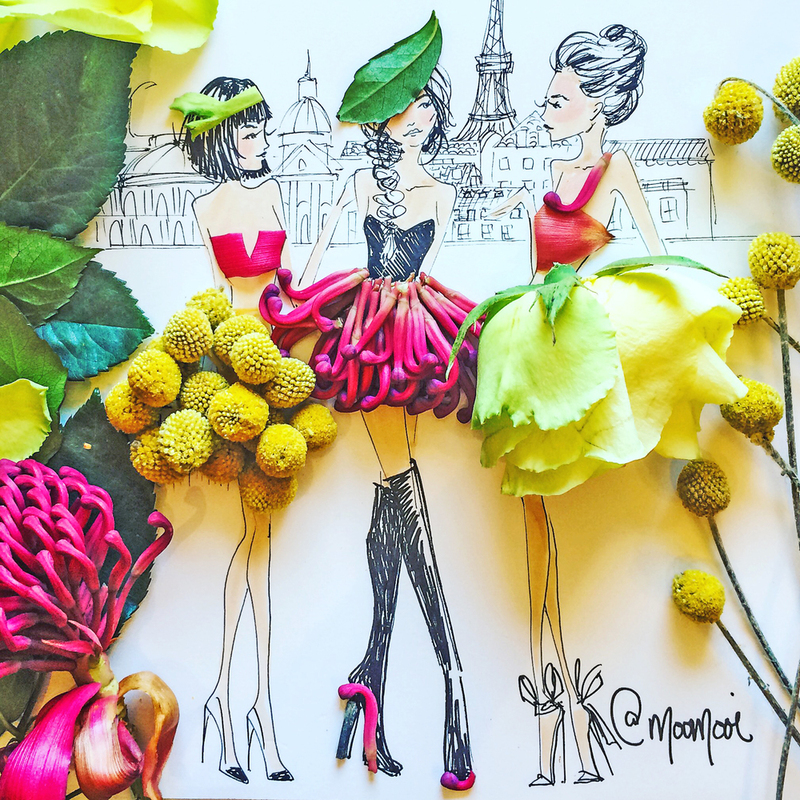 Meredith Wing has been creating whimsical portraits of fashionable ladies using fresh flowers in her multi media creations. 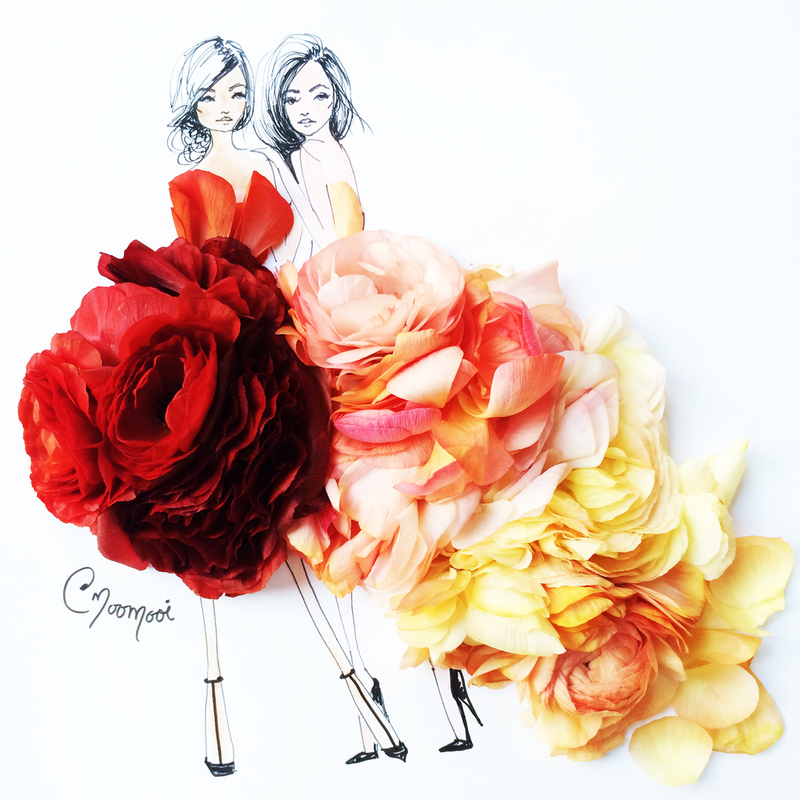 Her work has been commissioned by couture houses, beverage companies, fashion magazines, Parisian publishers, and other luxury brands. View more of these gorgeous creations on her website at MeredithWing.com and also be sure to follow Meredith and her work via Instagram: @moomooi and follow her SomeFlowerGirls Pinterest board.